A new crop of horror titles offers a mix of historical fiction, fantasy, and even humor, spawning a slew of tales sure to have teens biting their nails. In the battle between good and evil, monsters often represent the incarnation of evil, embodying that which is immoral, unnatural, grotesque, shocking, and inhuman. What makes them particularly frightening is their ability to take any form. They may be devils, creatures, myths, shape-shifters, or humans. Though not all monsters are created equal, each is sure to terrify in their own dreadful manner. This new crop of monster-laden teen horror offers a mix of historical fiction, fantasy, and even humor, spawning a slew of tales sure to shock readers. Proceed with caution, and be sure to leave the light on after dark. J .P. 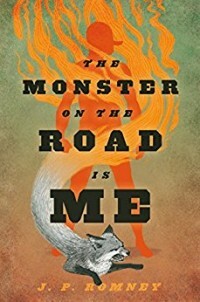 Romney’s quirky debut, The Monster on the Road Is Me (Farrar, Aug. 2016; Gr 7 Up), takes the unlikely hero trope and flips it on its head. Prone to narcoleptic episodes, Koda Okita wears an enormous padded helmet for protection while biking about his hometown of Kusaka, Japan, a tiny town nestled in a lush valley. Despite being the target of every joke in school and having only one friend (Haru, a high school dropout and convenience store worker), Koda is content with the invisibility that his status—or lack thereof—affords him. When an apparent string of student and faculty suicides suddenly befall his high school, Koda’s narcoleptic episodes enable him to access the supernatural world that exists just beyond the mortal reaches of Kusaka. With the help of Moya, a mysterious new girl in school, Koda discovers that his hometown is under attack by a sightless, demonic monster who commands legions of crows to do his bidding. Like the many fantastic and frightening creatures that populate Japanese folklore, this is one that won’t relent—until Kusaka pays for a centuries-old betrayal. The teen may be the town’s only hope. Koda's deadpan humor and honesty help lighten the terrifying aspects of the supernatural world that is spilling into the hamlet. The sudden appearance of swarms of crows and the nightmarish imagery that he witnesses in his narcoleptic moments are balanced by his comical inner monologue. In this cunning mix of mystery, horror, and folklore, Romney creates a believable world sure to excite fans of manga and all things Japanese. 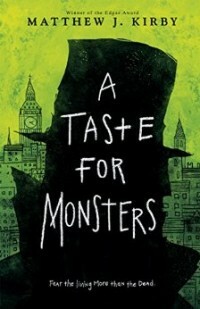 Like Romney’s debut, Matthew J. Kirby’s A Taste for Monsters (Scholastic, Sept. 2016; Gr 9 Up) serves up an equally sly amalgam of genres, fusing horror and historical fiction to create a deftly scary tale set during Jack the Ripper’s London. Evelyn is an emotionally and physically scarred young woman trying to find refuge from a deeply impoverished life. A former matchbook-factory worker, she has suffered the consequences of exposure to the deadly white phosphorus; her lower jaw has been surgically removed due to the condition known as “phossy jaw.” Hoping to find employ as a nurse at London Hospital, Evelyn is instead offered a position as a companion for one of the hospital’s only permanent residents, Joseph Merrick, also know as “Elephant Man.” Evelyn is horrified by Merrick’s appearance. Initially, she cares for him to avoid a life of destitution and to steer clear of “Leather Apron,” the colloquial nom de jour of Jack the Ripper, who is at large on the streets of London. Later, when the ghosts of the serial killer’s victims begin to mysteriously haunt and terrify Merrick, his health starts to deteriorate; Evelyn quickly sets forth on a quest to help these restless spirits “cross over” in the hopes that her patient’s health will improve. Lyrical prose and sumptuous attention to detail create a stunning tableau of late 19th-century London. Evelyn’s fear of Leather Apron is palpable as she closes in on the murderous monster. Historical fiction buffs and fans of ghost stories alike will revel in this spine-chilling, atmospheric tale. 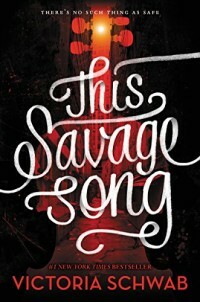 In a similarly dark landscape, Victoria Schwab treats readers to an elegantly crafted world in This Savage Song (HarperCollins, Jul. 2016; Gr 9 Up). In Verity, a post-apocalyptic version of the Midwest, evil acts are creating monsters: Malchai, Corsai, and the rarest, Sunai. V-City, humming with fear, hatred, and violence, is ruled by two men: Callum Harker, who uses the vampirelike Malchai to protect paying residents in his half of the city, and Henry Flynn, who employs three Sunai to eat the souls of evildoers and keep his half of the city safe. Harker’s daughter, Kate, is fresh off her latest expulsion from a long list of elite boarding schools and returns home to her father’s fortress in V-City. Her latest stunt—setting her school’s chapel on fire—earns her the reputation at her new school as a psychopath and monstrous bully. Fellow new student August Flynn attempts to see past her exterior—primarily because, as one of the rare Sunai who serve Henry Flynn, he is undercover and tasked with keeping tabs on Kate. Though monster by creation, sensitive August longs to be human (he looks it already but definitely isn’t). When a failed scheme to frame the teen for murder goes awry, he and Kate must team up to uncover a plot to send V-City into turmoil. Observant readers will detect the Romeo and Juliet–esque alliance between August and Kate and will relish the action-filled plot that leads to an unexpectedly satisfying conclusion. The juxtaposition of Kate (who uses her monstrous behavior as a way to act out against her father) and August, who actually is a monster but abhors humans who act monstrously, serves the question, “What makes a monster?” Expect high demand for the sequel in this two-book series. 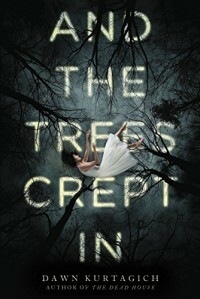 Dawn Kurtagich’s And the Trees Crept In (Little, Brown, Sept. 2016; Gr 9 Up) distills immense world building down to a singularly horrific mansion. Silla and her younger, mute sister Nori arrive at their mother’s childhood home, La Baume, in crisis and seeking safe haven. Their aunt Cath takes them in, serving as surrogate mother while a potential World War III rages beyond the trees surrounding the blood-red manor. In a few years’ time, though, their stockpile of food dwindles, Cath sequesters herself in the attic, and Silla is too afraid of the trees to go in search of food. The Python Woods surrounding La Baume appear to be inching ever closer when a mysterious but helpful boy named Gowan appears with food in tow. An awful, monsterlike creature named Creeper Man may be darting about in Python Woods just out of sight; Silla is sure she’s seen him. Periodic interludes from Nori and Aunt Cath further reveal just how maddening the atmosphere at La Baume has become, including the fact that Nori begins to spend her evenings in the dark basement playing with a long-limbed man without a face. Incredibly detailed gothic imagery—the girls’ clothing is actually beginning to grow mold, and the house smells deeply of rot—is not for the faint of heart. The monster tormenting Silla is both physically and psychologically frightening; is he real, or isn’t he? The fracture between Silla’s world and reality will cause readers to gasp when a surprise ending provides a clean closure. It’s sure to compel readers to return to the first page and reread this thriller for a second dose of chills. Amy M. Laughlin (@amysaurusrex) is the Youth Services Outreach Librarian at the Ferguson Library in Stamford, CT. She loves making, baking, playing, and all things Jurassic.